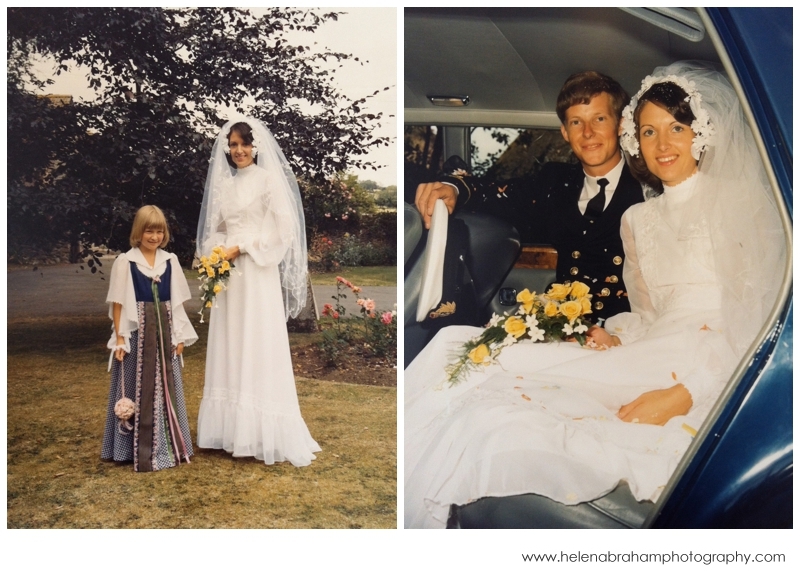 It was my dear parent's 37th anniversary a couple of days ago. The traditional gift for this number of years of marriage is alabaster, a white gemstone. 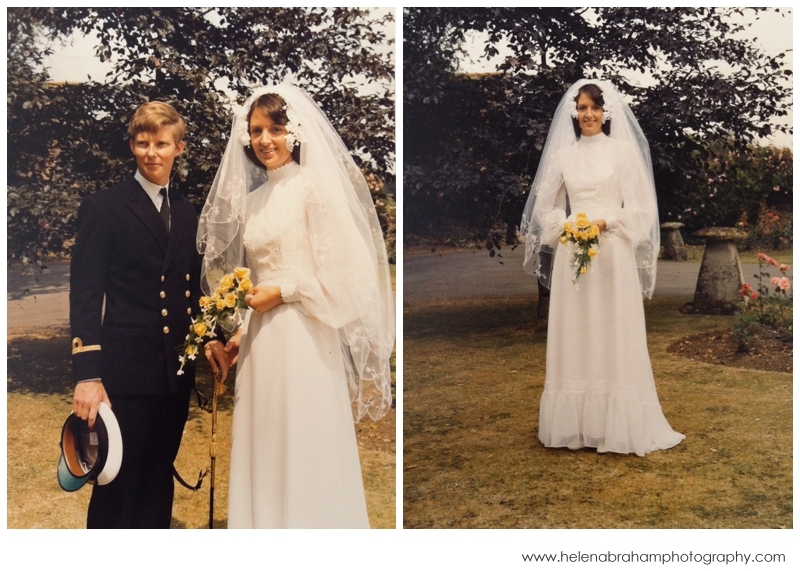 I was at their house and so asked to see their wedding album again and mum and I were marvelling at the changes in the industry. Back in those days a photographer whom you had never met before would turn up for the ceremony. Capture the signing of the register, the walk down the aisle and then a handful of family and couple line ups. They would be there for no more than an hour or two. 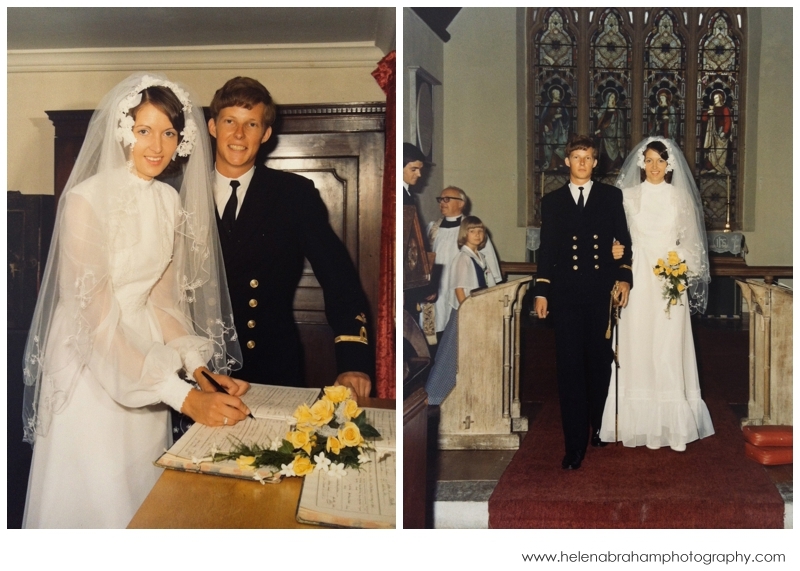 Here are a few images of my beautiful parents looking rather amazingly young! 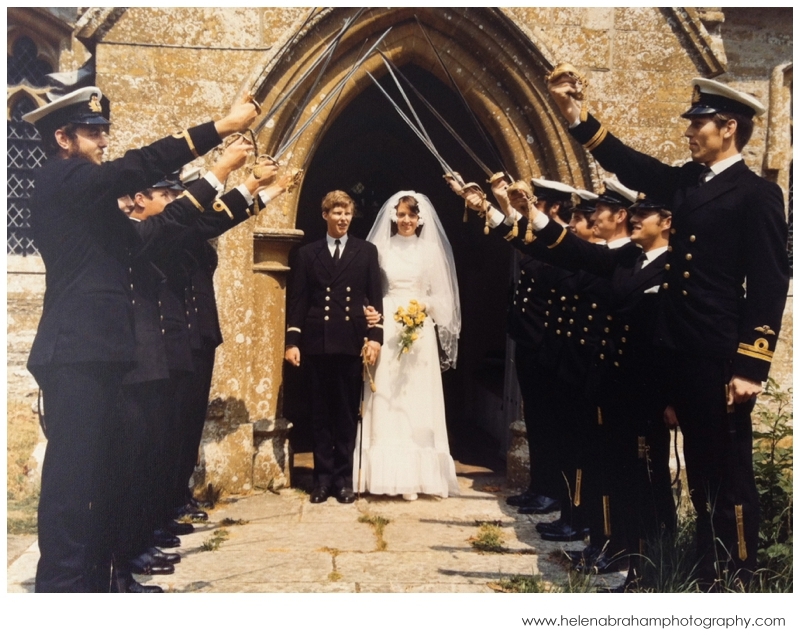 The church was in a little village in Somerset and was a typical Royal Naval wedding with Dad's colleagues forming a sword arch to honour them as they came out of the church and 3 Wessex helicopters did a fly-by back at the reception at Yeovilton Air Station. They headed off for a road trip around Europe for their honeymoon. When I think about the wonderful relationship I am able to develop with my couples I think that this very much reflects in the intimacy of the images I am able to capture. By the time of the wedding I have had one or maybe two pre-wedding meetings to discuss the couples details and requirements, a pre-wedding shoot so that the couple are comfortable in front of the camera and then I will be with my bride from the preparations on the day right through to the first dance. 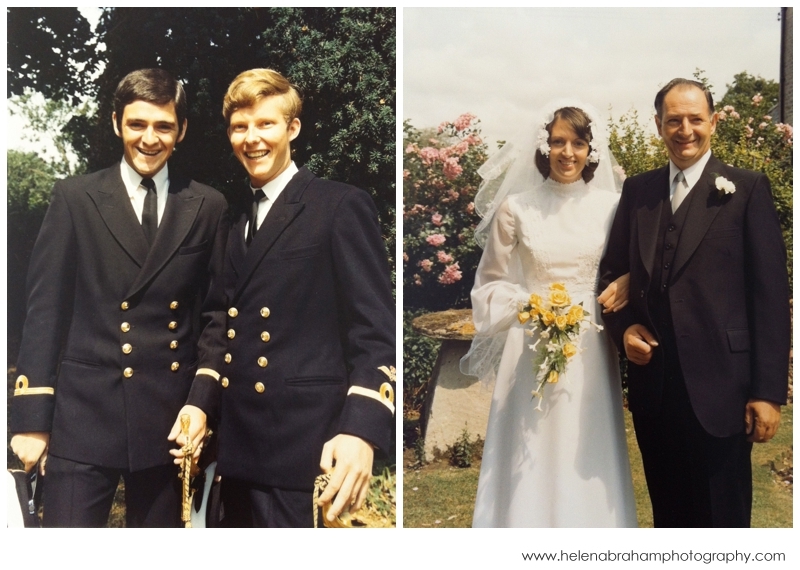 My couple will receive at least 500 images in colour and black and white both in an online gallery that can be shared with friends and family but also on a disc to keep and print images as they wish. Portraits are about capturing subtle emotions between the couple, moments of love and laughter, and of course plenty of portraits of all the friends and family so that when the images are looked through the story is told from the start of the day to the end of the day with all the little moments that the bride and groom may have missed. The expressions of their family as the bride walks down the aisle... the laughter of guests at a table, the delight of a confetti throw. Every couple gasp at how quickly the day has flown by when I say goodbye at the end of the evening. A set of images that allows them to relive the day over and over is priceless. But back to my parents... I love them so much and thank them from the bottom of my heart for always encouraging me to follow my dreams and for never doubting my abilities and potential when I decided to become a photographer; for giving me the tools of independence and strong work ethic to be able to follow through on this wonderful journey.